August 14, 2009  A goldfish gets her chance to live above sea level in a sweet-natured film by visionary Hayao Miyazaki. 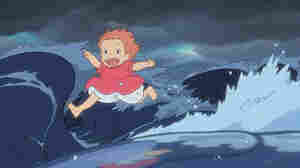 Kenneth Turan says its mixture of fantasy, adventure and affection make Ponyo unforgettable. July 15, 2009  Director David Yates is a good steward of the material — respectful but not overly reverential — which means audiences should be happy, even as the darkness gathers around Harry Potter and his Hogwarts friends. July 1, 2009  Centered on a fatalistic portrait of a great American outlaw, Michael Mann's slick, authentic-looking drama is simultaneously an art film and a crime saga — one dazzling enough to keep the Dillinger legend alive for years. June 19, 2009  There was a time when Woody Allen's characters were both funny and recognizably human. Sadly, the work necessary to accomplish that looks to be something the writer-director can't be bothered with anymore. June 12, 2009  Tony Scott's thriller — a remake of the 1974 film of the same title — is a deft and professional genre piece that roars right along, despite what some might think is an excess of plot-convenient coincidence. June 5, 2009  A self-satisfied film about insecure people, Sam Mendes' film has mustered several genuine assets, but it squanders them all — and ends up being not nearly as special as it wants to be. May 22, 2009  France's Cannes Film Festival is under way. 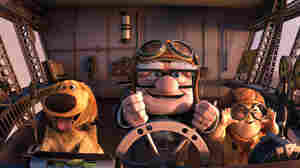 Kenneth Turan, who reviews movies for Morning Edition and the Los Angeles Times, says the movies are surprisingly good. May 8, 2009  The Star Trek franchise has certainly taken its own advice about living long and prospering. The current film is the 11th in the series — and critic Kenneth Turan says it revives the brand nicely. May 1, 2009  One of the surest signs of spring is the appearance of comic book movies in theaters everywhere. Hugh Jackman is back as the edgy Logan, aka Wolverine, in a fast, loud origin-myth of a movie designed to cash in on the fanboy fervor that greeted the three X-Men films. April 10, 2009  At 14, founding members of Anvil, Steve "Lips" Kudlow and Robb Reiner, swore they would rock into their golden years. After Anvil's influential debut album, however, their careers took a nosedive. This documentary finds the softer side of hard rock. April 3, 2009  An awkward, brainy guy and the knowing, enigmatic object of his affections grow close during a summer stint at a low-end amusement park. Kenneth Turan says Greg Mottola's Adventurelandlets you see their reciprocal appeal. March 20, 2009  If you've been waiting for big stars to come back to the movies, your wait ends today. Julia Roberts and Clive Owen are back in a twisty corporate espionage thriller, and Kenneth Turan says it's worth the wait.